Apparently this game used to be so good but the admin or owner so called NOVA is a short fuse bomb if you somehow piss him off well... you're banned... and this game has almost no more farming spots due to the reduced drop rate and nerfed prices of certain goodies gold rings,diamond, crystal mirror, Witherless Rose and etc. AND THEY ARE JUST MILKING THE GAME they wont fail to announce everyday during the event about their increased donation ratio stuff and LIMITED Christmas event items. Don't talk about the server population like that man or Nova and the Gm team will get mad, its legit. 2000 players daily and 2000+ during WoE !!!!!!!!!!!!!!!! But in all honestly only around 3 full guilds WoE. That's literally about 90 people(30 was max per guild the last time I played) and with the small guild/randoms/alts its probably around 120 players. You're telling me only 120 out of 2000 players play WoE? Get out of here with that bs player base that we are suppose to believe. The war scene is pretty much dead due to no action taken upon griefers. Suppose to be a PvM server? Behind in content and Nova has been promising FAW for years now. FAW when?? Many times has he said that he doesn't like want to add custom content and try to follow kRo 100%. But yet he added a custom content(AoA) where those who participated in WoE can get tokens to buy headgear you can't get anywhere else. Said he spent Months on the event (honestly was a ripoff of an event from another server) only to have it FAIL miserably where no one attended or is a one sided event. Dude is an emotional train wreck. Say something wrong? Boom ban. Ban from discord ban from everything. Probably will get a passive aggressive response just like all his responses that he does. I took a break from NovaRO, but I was curious now. 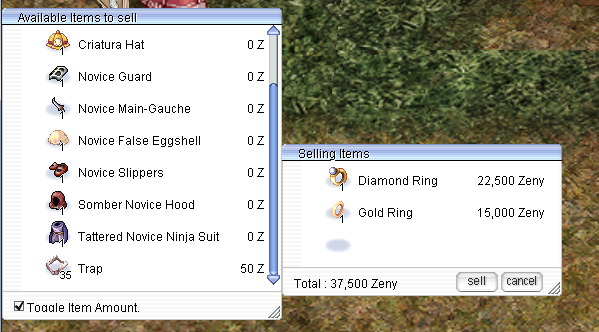 The Diamong Ring and Gold Ring are the same price as RMS and they haven't changed. The Witherless Rose and Crystal Mirror have been nerfed, after asking around ingame they said it's always been this way. If that's true, then this rant is kinda stupid. Isn't that the point of an event...? I don't get it. Sometimes I wish they wouldn't, but NovaRO loves following kRO. The drop rates you're speaking of are the actual drop rates. That's a match (it's x10 on NovaRO) except for the Girl's Naivety. Other servers are just late to the party I guess. Their response should be interesting though, we all love a little drama rant. This guy's complaint was about a feature that players regularly would want. In any other instance, I'd think it's just some crazy guy who got banned for spamming the n word in main chat and the admins nuked him. But since it's NovaRO where they pays the staff to vote brigade and make webcomics and videos advertising the server among all other things that we don't know aboutyet , it's more likely they have a guy post a fake complaint to advertise instead. do you have any proof of what you're saying there? I couldn't find anything on RMS about it and we all know there's a lot of bull s*** on the internet. And what's wrong with advertising? If you have evidence of them posting a fake complaint on RMS to advertise though, that's a whole new story. That's a bold claim but without any proof you could say whatever you want too, so please share the information you have with the rest of us. Whats up here, it's a good server la...! and this game has almost no more farming spots due to the reduced drop rate and nerfed prices of certain goodies gold rings,diamond, crystal mirror, Witherless Rose and etc. Funnily enough, Crystal Mirror and Witherless Rose drop rates have been like that since the server opened. And the reduced drop rate was in accordance to a kRO update almost a year ago now. I'm sorry to hear you don't like the server anymore though! I assure you we have more than just 300~500 players. I wish you luck finding a new home. you sure talk politely here at the rms forum nova, but whenever you are at discord/in game you chat like a real donkey insta muting people who asking you stuff twice cause you never answer when people ask once. tbh you are the worst GM i have ever met. Surprising to hear you say that, I tend to be pretty polite in all of my interactions. I'd love to get some screenshots of these conversations where I'm being 'a real donkey' to you as I cannot remember doing that to you. I'm sorry if you asked a question one time and I happened to overlook it, I get asked a lot of questions on a regular basis and sadly, I miss a few from time to time. Why Toxic and Greedy ? Now you must Spend 5k CP for it ? Really Nova why you went so Greedy for Money ? Dunno man, if I were to say that Nova is horrible I'd be linking some proof to it. A wall of text isn't just enough and while I'm one of the few people that often disagree with their choices I gotta admit that they are good at long-term decision making. that's almost 5 guilds actively playing! As for Nova, man. I've talked with him before, he's chill, a cool person and really polite and cares for his players. But dude you gotta be a little more empathetic since you know, he's the server owner of a server with almost 1000 legit players online everyday and increasing as time passes, sure he's not alone but of course, as an admin/GM, you get bombed with dumb questions all the time. I can't tell for sure if Nova has low temperament or whatever, but what if he does? He's a person, just like you, he's not some sort of god who cannot get annoyed at anything. If you get banned, it's your fault man - you broke the rules. Do you expect a pat in the head and a nice cup of tea after doing something wrong? No man, when you get banned, the worst thing to do is to make a rant and rave topic at RMS and show how incompetent you are at proving something, thus making yourself look even more pathetic. And even if it was true (which it is not), how is 5k CP for a permanent outfit from which you can swap back and forth to with no limitations greedy? I'd get the whole greedy thing if our cash shop was overflowing with Best in Slot refineables. Instead, we opt to charge cash points for cosmetics most of the time. If you're going to be speaking negatively of me and my server, at least get your facts straight. The fact that Nova showed proof that you guys are lying about some of your statements makes me question everything else you've said so far. The OP (and some others) provided no proof of anything. As Innomite said, it's just a wall of text with no meaning. I have to side with Nova on this one. I'm actually sort of thinking that this is the case too, considering whenever a negative thread about the server is made, the actual negative threads (even if they have been something very small) are always bombarded with (Posts: 1 Join Date: Today) accounts defending novaRO. What makes this thread so special?